The Ford 24-7 concept was the most convincing element of Ford's unrealised turn-of-the-century bid to seduce the planet's fashion-conscious youth. 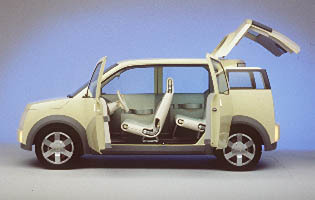 Shown at the 2000 Detroit Motor Show, the concept was underpinned by an adaptable platform with pick-up, four-door fastback, and wagon bodystyles. The potential of the last seems not to have been lost on Honda, who launched their Element SUV in 2003. The profile of the 2002 Transit Connect is strikingly similar to the 24-7 wagon. It would only take a modest re-skin and some of the concept's avant-garde interior design ideas to create something with real panache and no direct competition in the European market. A missed opportunity? Perhaps not. 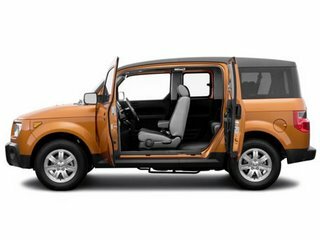 Even Honda, in their infinite wisdom, don't think the Element could possibly be of any interest to anyone outside Japan, the USA, and Canada. Once again 5ivegears seems to be in a minority of one.